The roots of the Rocket & Baptiste styles of power yoga are firmly based on the heritage of Ashtanga Vinyasa. All three utilise the same asanas or postures but differentiate on how they are sequenced. Ashtanga practices a strict series of sequences while the power yogas mix the traditional Ashtanga series in a very freestyled flow. But all three open with traditional sun salutations accompanied with the utilisation of the ujjayi breathing technique to establish a rythmatic transition from one asana to another. One's experience with power yoga will vary between a class level, studio, or instructor. The development of strength, stamina and flexibility are the common denominators making power yoga an ideal yoga for athletes, and those looking for a fresh, alternative path to fitness with less emphasis on the meditative and stretching characteristics found in the classical yogas. Yin yoga is a slow-paced style of yoga with poses, or asanas, that are held for longer periods of time—five minutes or more per pose is typical. Its teaching in the Western world, beginning in the late 70s, was founded by martial arts expert and Taoist yoga teacher Paulie Zink. 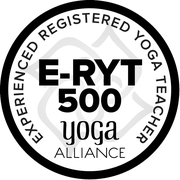 Yin-style yoga is now being taught across North America and in Europe, due in large part to the teaching activities of Yin yoga teachers and developers Paul Grilley and Sarah Powers. Yin yoga poses apply moderate stress to the connective tissues of the body—the tendons, fascia, and ligaments—with the aim of increasing circulation in the joints and improving flexibility. A more meditative approach to yoga, yin aims at cultivating awareness of inner silence, and bringing to light a universal, interconnecting quality. Yin yoga as taught by Paul Grilley and Sarah Powers is not intended as a complete practice in itself, but rather as a complement to more active forms of yoga and exercise. Très bon professeur qui s'adapte à ses clients. I have tried different types of yoga before spanning several instructors in several different locations across the word. 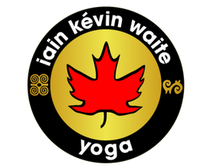 Simply put, Iain is the best if you want a powerful, dynamic style of yoga that both challenges you and simultaneously completely puts you at ease with yourself. After practicing with Iain for over a year, I am now more flexible and stronger, and overall feel better about myself. I enjoy Iain's class so much that I'm always looking forward to the next time. You definitely want to practice at least once with this amazing guy. 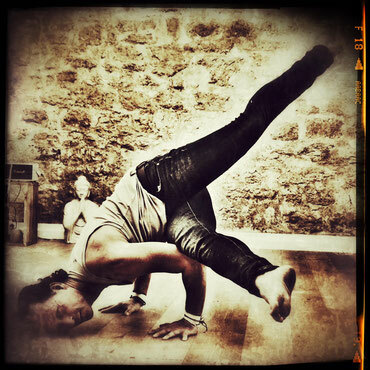 Après 1h30 de Yoga avec Iain, tous les soucis de la semaine s'envolent...un cours très complet qui fait travailler à la fois le corps et l'esprit sous le regard bienvaillant du professeur qui adapte toujours le niveau de ces cours aux participants. Le bénéfice d'une séance dure plusieurs jours et c'est toujours avec un grand plaisir qu'on y revient.